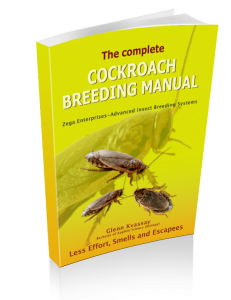 Want to Start an Insect Breeding Business but Don’t know Where to Start? At WildlifeHub we have been breeding insects and training people for 13 years and we offer one on one consultancy advice for people and businesses who wish to breed Crickets and Woodies (cockroaches). 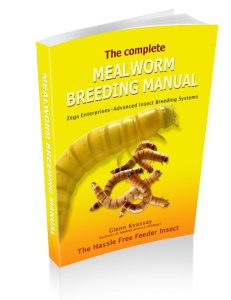 We can help you get the answers you need to determine the feasibility of an insect breeding business, and specific techniques to breed them. We respect everyone’s right to confidentiality and all information discussed stays confidential. Our rates are $25 (US) per 15 minute block. Sessions are usually by videos link using Skype, Facetime or Facebook live feeds. What type of insect you propose to breed; and scale of operation. What problems you have encountered or problems you anticipate. If you have previous experience, what this involved. What specific questions do you want answered. If you haven’ already, you may want to look through the articles in the Commercial Section which will give you some information on markets, common mistakes and production rates. 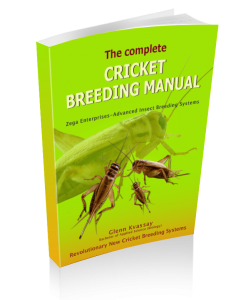 If you know for certain which species you will be breeding we recommend you purchase the book (Cricket Breeding manual or Cockroach Breeding Manual) prior to the session. This will enable you to ask targeted questions that arise from looking through the photos and text and reduce the time you need for a session. We undertake projects with partners from time to time which means there may be times we cant take on consultancy sessions due to time limitations. Our experience relates to breeding European house cricket, (Acheta domestica) and Speckled or Lobster Cockroaches (Nauphoeta cinerea) using container and lid systems. As each project is very unique (breeding method, expenses, climate, operator skill level and markets) we can only provide general advice based on what we achieved using our methods and setup. It will then be up to you to get the right costings etc. and adjust this information to make it applicable to your unique setup. As the specifics of each project varies so much, we strongly recommend that you do a pilot or small scale operation first to work out specific, breeding success, expenses, income and markets before expanding to a larger operation.